Albert Camus never considered himself an existentialist. In fact, Camus never exclusively believed in any school of thought. Camus was the consummate outsider, the one who stood apart from those who subscribed to views that forced those subscribers into a narrow ideology, especially when that ideology mixed with violence, something Camus steadfastly resisted. If we had to place Camus into any category it would be that of the humanist caught in the absurd. Camus believed in life over death (without believing in an afterlife), yet this belief did not keep him from contemplating the question of suicide, the only serious philosophical problem confronting us, as he writes in The Myth of Sisyphus. Camus’ humble beginnings in extreme poverty and illiteracy in his native Algeria testify to the power of the human spirit in the face of an indifferent world. When he was awarded the Nobel Prize for Literature in 1957 he expressed reservations and claimed that the prize should have gone to André Malraux, an early influence on his writing. Camus also realized that the Nobel would bring a certain celebrity that would complicate his life, perhaps even sabotaging his art. Add to this his “silence” on the Algerian problem and his very public and acrimonious break with Sartre, and Camus becomes a figure trapped in a world where he is increasingly unable to control his own image. Camus is a problematic figure who is claimed by both the Right and the Left, leaving the man and his writing caught in a political vortex. Focusing on the postcolonial aspect of The Stranger, Edward W. Said writes that Camus “is a moral man in an immoral situation.”[i] When Camus died at the age of 46 in a car accident in 1960, he left the world with the image of the charismatic young man, Bogart-like in his coolness, and still with the promise of great things to come. But a saint he was not. His numerous affairs and constant womanizing, his reluctance to act or speak out against French imperialism in Algeria, his disillusionment with and expulsion from the Communist Party, render him more human than academics might be comfortable with. Camus’ life was full of contradictions, full of silences. Yet, it was precisely from these contradictions and silences that Camus produced one of the most important and widely read books of the twentieth century. Looking back over the seven decades since the publication of The Stranger, Camus’ reluctance to situate (in the Sartrean sense of the term) himself in the bubble of existentialism, a bubble in which The Stranger and his relationship with Sartre placed him, the novel blazed a path that opened up fields where the absurd might be articulated, contemplated, and confronted from the inside (the modernist bent) rather than from above and beyond, as the canonical novels of the nineteenth century may have done. In her essay “French Existentialism,” Hannah Arendt briefly examines Sartre and Camus’ influence on the “new” movement where novels carry the weight of philosophy. Throughout that essay she also comments on Camus’ reluctance to be labeled an existentialist. “Camus has probably protested against being called an Existentialist because for him the absurdity does not lie in man as such or in the world as such but only in their being thrown together.”[ii] Here we have what is perhaps the most concise and articulate formulation of absurdist philosophy to date. Camus’ definition of absurdity, painstakingly mapped out in Caligula, The Stranger, and The Myth of Sisyphus, is not quite existentialism, but does contain existentialist DNA, especially Kierkegaardian and Dostoevskian (two of Camus’ patron saints) DNA. As Camus remarks in The Myth of Sisyphus: “I can therefore say that the Absurd is not in man (if such a metaphor could have a meaning) nor in the world, but in their presence together.”[iii] Camus’ definition of the absurd is also the epistemological curve in the road separating him from Sartre’s thinking. If Sartre’s philosophy can be distilled into his phrase “Hell is other people,” then Camus’ is a philosophy of the absurd dependent upon relationships among people. On the other hand, Camus’ articulation of the absurd, as we’ve seen above, resides in the relationship of humans with their world. Together, Sartre and Camus blazed a path where philosophy and art, in this case literature, met, thereby ushering in a new form of the novel, one that would examine existence from a philosophical perspective while making use of a form in which to mold these philosophical perspectives. What emerges from this is a hybrid. According to Randall Collins, “What was identified was a tradition of literary-philosophical hybrids. Sartre and Camus were key formulators of the canon, and themselves archetypes of the career overlap between academic networks and the writers’ market. 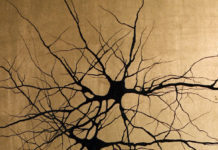 The phenomenon of existentialism in the 1940s and 1950s added another layer to this overlap.”[iv] But this hybridization was more than a heady cerebral new movement in fiction; this hybrid constituted a new way of thinking about the world, a world that emerged primarily from a particular network of intellectuals at a particular time in Paris. Sartre and Camus are on the crest of this wave of existentialism and their thinking would go on to change the world. Alice Kaplan’s extraordinary new book Looking for the Stranger: Albert Camus and the Life of a Literary Classic, is a careful and meticulously researched examination of Camus’ 1942 novel. Kaplan is one of the leading scholars of twentieth century French culture and history. She is currently the John M. Masser Professor of French at Yale University where she also received her Ph.D. in French in 1981. She has published seven books, including: French Lessons: A Memoir (1993), The Collaborator: The Trial and Execution of Robert Brasillach (2000), and Dreaming in French: The Paris Years of Jacqueline Bouvier Kennedy, Susan Sontag, and Angela Davis (2012). In 2013 Kaplan edited and provided the introduction to The Algerian Chronicles, a collection of articles and essays Camus wrote from 1939-1958. Kaplan’s edited edition is the first time these writings have appeared in English, so she is no stranger to Camus and his place in twentieth century French culture. 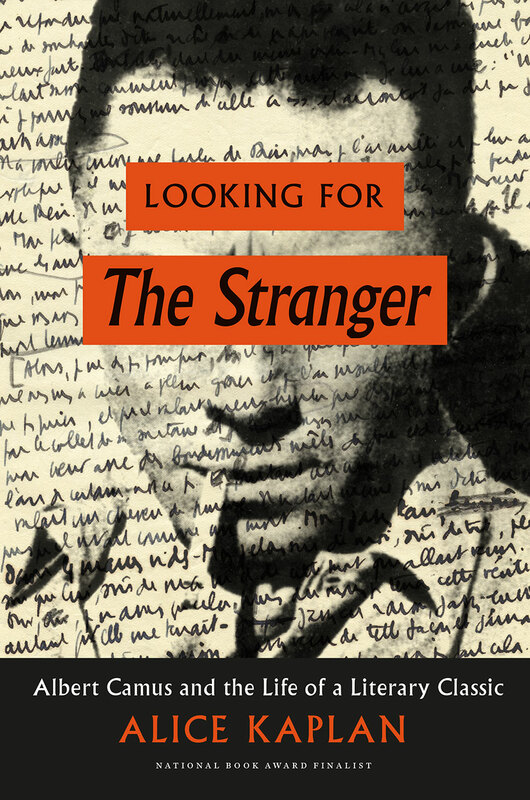 Early on Kaplan claims that Looking for the Stranger is actually a biography of Camus’ best known work, and one of the most famous and widely read texts of the twentieth-century. However, this does not mean that Kaplan foregoes a glimpse into Camus’ life, thus resurrecting the Barthesian “death of the author” debate. Instead, Kaplan goes looking for The Stranger in the author instead of the author in The Stranger; the difference is subtly stunning. In other words, her investigation is more preoccupied with the creative process and its cultural and social context than it is with getting to the author as a god-like figure. Camus always claimed that The Stranger was the second in a three part series exploring the absurd from three different perspectives: a novel (The Stranger), a dramatization (Caligula), and a philosophical work (The Myth of Sisyphus). But The Stranger is hardly a book that needs rescuing from obscurity, nor does Kaplan claim that it does. To date the novel has sold over ten million copies and is still read in over 40 languages. It is still on high school and college syllabi, thus making it required reading for young men and women. In fact, a student’s first encounter with existentialism and the absurd is likely to come from a reading of The Stranger. Instead, she offers us a more comprehensive look into the text, running down every lead, exploring every avenue that might expand our understanding of what makes The Stranger the text that it is. Kaplan begins by acknowledging the spectacular success of The Stranger, making it one of the most popular and important texts of the twentieth century. She quickly glosses over the critical reaction to The Stranger by pointing out that readings of the novel map some of the most important theoretical lenses that have influenced twentieth century thought. “In fact, you can construct a pretty accurate history of twentieth-century literary criticism by following the successive waves of analysis of The Stranger: existentialism, new criticism, deconstruction, feminism, postcolonial studies” (2). The Stanger, she claims, has influenced thinking of a diverse population that spans generations. Indeed, the remarkable staying power of the novel to remain relevant, perhaps even more relevant now than when it was published, is a feat that its author and its critics at the time could not have foreseen. I am not sure that students continue to read The Stranger with the commitment that they once did, but it is undeniable that the novel still matters, that it still provokes us into thinking, especially in a time when fundamentalism and terrorism are on the rise, and Europe and the United States are flirting with a new form of fascism in the guise of a renewed interest in ridged nationalism. But Kaplan is not necessarily interested in the public and academic reception of The Stranger. Instead, she claims that the novel’s readers and commentators have overlooked something from our reading of the text since its publication: that something is a biography of the novel. “Yet something essential is lacking in our understanding of the author and the book. By concentrating on themes and theories—esthetic, moral, political—critics have taken the very existence of The Stranger for granted” (2-3). She takes the unprecedented, and academically unpopular path that looks into the life of the author and the circumstances that allowed the author at a particular place and time to write one of the most powerful works of world literature. However, it is important to point out that Kaplan sets out to write a biography of the novel, and not the author. In fact, Camus’ life becomes a part of the puzzle that is The Stranger. Kaplan is not the first to comment on the unlikely success of The Stranger and its problematic birth. She is, however, the first to devote an entire book to an investigation, an investigation that is almost documentary-like in its approach, to the novel from conception to publication and beyond. And she accomplishes this brilliantly. Told in twenty-six short chapters, bookended by a prologue and an epilogue, Kaplan leads us into the depths of the novel in a highly engaging and thought-provoking fashion. In fact, the structure of her book presents its readers with the “life” of the novel, a life that has continued on long after the death of its creator. Drawing from a reservoir of sources, including Camus’ notebooks and her own trips to Algeria, Looking for the Stranger is a scholarly adventure story. As Kaplan claims in her acknowledgements: “I looked for The Stranger in libraries, in archives, in neighborhoods on three continents” (219). Of course, the idea of The Stranger was with her all of the time, but what makes Kaplan’s book so provocative is precisely the lengths she goes to in search of the novel. Kaplan explores The Stranger in three parts: before its publication, during its publication, and after its publication. In the first chapter Kaplan gives us the image of a young man in front of a bonfire burning various papers that link him to a past, a past that could be dangerous to him and those who know him. But as Kaplan tells it, the young Camus could not bring himself to burn all of his letters and writings. What he saved would act as a cache of material, both physical and remembered, from which he would extract and rework into a slim, simply told tale of a man who fails to cry at his mother’s funeral and, by a series of circumstances, ends up shooting an unnamed Arab on a beach, only to be arrested, tried, convicted and sentenced to death. Yet, the reader is never quite sure if the protagonist is convicted and sentenced to death because of the murder or his refusal to conform to the rules of a society that demands that one cry at one’s mother’s funeral. The image of the bonfire given to us by Kaplan is a powerful one. As we travel with her deeper into her investigation, we learn that the bonfire was a kind of rite Camus needed to perform in order to purge his mind and soul so that he could go on to write what he felt needed to be written—unimpeded by ghosts, but still attentive to their silences, which spoke to and through him. Throughout the spring of 1940, six years after the bonfire, Camus worked furiously on The Stranger, almost in total isolation holed up in his miserable hotel room in Montmartre, interrupted only to work for five hours a day at Paris-Soir. The twenty-six year old was as cut off from the world as he had ever been. Alone in a foreign city, with German bombs exploding all over France, Camus fought his loneliness and misery by throwing himself into his writing. Not yet divorced from his first wife, Simone Hié, his fiancé Francine Faure refused to accompany him to Paris. The only thing he brought with him was the first chapter of The Stranger and a few of his press clippings. Kaplan: “His sense of separation from everyone he loved put him in a state of mind that was both painful and enabling” (71). Like Camus’ biographer Olivier Todd, Kaplan highlights the importance of Camus’ isolation when he first arrives in Paris. Camus believed that the failure of A Happy Death, his abandoned first novel, was due to his inability to write without interruption. Camus’ isolation in Paris enabled him, out of necessity, to devote all of his attention to The Stranger. Kaplan’s research offers us a marvelous glimpse into the creative process Camus used, or perhaps more accurately, was host to, during his writing of the novel. Kaplan claims that Camus wrote The Stranger almost line for line, as if he were dictating a story he was seeing play out before his eyes. Where he struggled with the writing of A Happy Death, The Stranger seems to have emerged almost fully formed, complete. However, his writing of The Stranger does not mean that it was without its problems. In fact, the birth of The Stranger was long and fraught with difficulties both internal and external. Until his arrival in Paris, Camus struggled with getting into the narrative, creating a new story, as well as using material from A Happy Death. Interestingly, most reviewers of Kaplan’s book, Robert Zaretsky, himself an accomplished Camus scholar, and John Williams in particular[v], have devoted a majority of their reviews to the shortage of paper in France as the novel was set to go to press. “To say that the very existence of The Stranger was threatened by the material conditions of the war is no exaggeration, since paper supplies were becoming more and more precious. It looked at one point as if Camus would have to supply his own paper stock!” (136). Camus was in Oran with his family at the time, and was happy to help Gallimard with locating paper. The novel came very close to not being published, but paper stock was found at the last minute and Camus was not obliged to supply his own. Once the novel was published it was met with immediate success. But perhaps its success was not so unusual after all. From the beginning Camus wanted the French publishing world, located in Paris, to represent him. In the chapter “A Jealous Teacher and a Generous Comrade,” Kaplan tells the story of Camus’ almost frantic correspondence with Jean Grenier and Pascal Pia, the teacher and the comrade, respectfully, and their influence on The Stranger in its early stages. More importantly, if Camus were to move from a provincial author to a wider audience, one that would include the whole of Europe and possibly America, he would have to seek publication outside of Algeria. As Kaplan notes: “Yet Paris was still the center of book publishing in France, and if Camus wanted to publish outside Algeria, he’d eventually have to find a way to get his manuscript to the capital” (107). This, it seems to me, provides the necessary evidence that Camus was thinking bigger than his native land. He desired a world stage, a stage that would allow his work to be read by the widest possible public and Gallimard was the publisher that could provide him with that opportunity. In his book The Existentialist Moment: The Rise of Sartre as a Public Intellectual, Patrick Baert illustrates the importance of publishing, especially those publishing houses in Paris, for providing the necessary outlet for ideas. “Intellectual ideas spread mainly through publications. Whether through books, magazines, or articles, publishing is central to the rise of intellectual movements. For such movements to be successful, authors have to be well connected to the main publishers and need to have sufficient freedom and power to be able to write what they want to write.”[vi] The network Gallimard could provide Camus with would plug him into some of the most resonant writers and thinkers of the time. As mentioned above, The Stranger was not just a novel, but also an important piece of a longer meditation on the absurd. Therefore, Camus’ relationship with Gallimard, as Kaplan points out, is a key component to his rise to international prominence. Quite frankly, without Gallimard, The Stranger might not have met with its tremendous success. Camus’ association with Gallimard was not the only key to his success, however. Gallimard’s star and existentialism’s major voice, Jean-Paul Sartre, also had a lot to do with the success of The Stranger. In his celebrated review of The Stranger, originally published in 1943, Sartre almost single handedly anoints Camus into the French intellectual network, thus solidifying his reputation as a resonant French intellectual. Still, early on in his review Sartre points out that, like its author, The Stranger is a book from “across the sea,” highlighting Camus’ Algerian heritage. Sartre’s generous and insightful review gives a certain intellectual legitimacy to the novel. Sartre: “The Stranger is a classical work, a work of order, written about the absurd and against the absurd.”[vii] This Apollonian form, in the Nietzschean sense, of the novel further reinforces the boundary lines that mark the absurd context, a context that we might fold into the Dionysian, again in the Nietzschean sense. But it would be a mistake to consider The Stranger a French novel; it is, in almost every sense, an Algerian novel, a novel obsessed with the sun and the sea. What is perhaps closer to the novel’s intention is, at least in part, a Mediterranean world in a colonial context. In other words, the pied noirs who enjoy French citizenship and the protection it offers as opposed to Arab subjectivity. Arab subjectivity is one of the chief criticisms postcolonial scholars hurl at The Stranger and its author. Yet, a purely postcolonial reading of The Stranger severely limits our understanding of the novel. 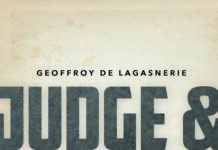 As David Carroll points out, “I would even say that to judge and indict Camus [as Edward Said does] for his “colonialist ideology” is not to read him; it is not to treat his literary texts in terms of the specific questions they actually raise, the contradictions they confront, and the uncertainties and dilemmas they express. It is not to read them in terms of their narrative strategies and complexity. It is to bring everything back to the same political point and ignore or underplay everything that might complicate or refute such a judgment.”[viii] The postcolonial lens that has dominated readings of The Stranger has also relegated it and its creator to a graveyard for Eurocentric authors. Kaplan’s attention to detail, however, locates the nameless murdered Arab in The Stranger in a central, one might even say, privileged, position. Almost from the beginning, Kaplan admits to being nearly obsessed with the figure of the nameless Arab. Indeed, the namelessness of this character is one of the pivotal points in her book. As Kaplan discovers, there was a nameless Arab in Camus’ life, one that would lead him straight to the central scene in The Stranger. In 2015 Other Press published the English translation of Kamel Daoud’s The Meursault Investigation, a retelling of The Stranger from the point of view of the brother of the Arab killed on the beach by Meursault. Daoud, an Algerian journalist living in Oran, writes for Quotidien d’Oran, a French language newspaper in Algeria. The Meursault Investigation is an interesting book that reads more in the style of Camus’ The Fall than The Stranger. The protagonist, speaking to us in the first person from a bar in Oran, informs us that there are other facts in the case that we did not hear, the chief among these is the name of his brother, Meursault’s victim, Musa: “Who was Musa? He was my brother. That’s what I’m getting at. I want to tell you the story Musa was never able to tell. When you opened the door of this bar, you opened a grave, my young friend” (4). Daoud’s text comes dangerously close to being fan fiction. However, there is something profoundly relevant in the novel. The Meursault Investigation demonstrates a deeper understanding of The Stranger, and Camus’ style. In order to write this book, Daoud proves that he knows The Stranger intimately, and his contribution to the story is, indeed, worthy of consideration. The Meursault Investigation demands to be read, digested, and then read again in the context to the cultural as well as the literary conditions of Algeria before, during, and after its independence. Kaplan devotes nearly an entire chapter (chapter 26) to Daoud’s novel and the figure of the unnamed Arab who appears in nearly spectral form in The Stranger. She tells us that she had a meeting with Daoud in 2014 in Oran, in which he claimed “we don’t read The Stranger the same way as Americans, French, Algerians” (210). Kaplan’s reading of Daoud’s novel is a revelatory experience for her, and by association, for us. She strategically situates The Meursault Investigation both within and beyond the lens of postcolonial theory. Kaplan’s research into the source of the killing of the Arab scene in The Stranger is a remarkable piece of journalism. Her investigation led her through the towns and alleyways of Oran, to dusty archives, and populated streets, all despite an Algerian travel advisory for those holding a United States passport. “For two years, I had traveled to places in France and Algeria connected to The Stranger: I had walked down the former rue de Lyon in Algiers, past Camus’s childhood home. With photographer Kays Djilali, I climbed the steep Chemin Sidi Brahim, knocking on doors until we found the House Above the World, now the home of three generations of Kabyle women who speak neither French nor Arabic. With Father Guillaume Michel from Glycines Study Center in Algiers, I drove out to gold and blue vistas of Tipasa. In Paris, I stood in the dreary spot on the hill of Montmartre where Camus wrote in solitude” (211). At the end of the trail is a name: Kaddour Touil, and a story. Kaplan’s research demonstrates that it is not really Camus the author who haunts The Stranger, but rather it is the specter of Meursault who haunts Camus, both in life and after death. Meursault, as Olivier Todd informs us, is a combination of several people Camus knew. “The character of Meursault was inspired by Camus, Pascal Pia, Pierre Galindo, the Bensoussan brothers, Sauveur Galliero, and Yvonne herself. Marie was not Francine. Camus the writer mastered his novel in a way that Camus the man did not control in his life. Meursault never asked himself any questions, whereas Camus was always examining his actions and motivations.”[ix] Authors routinely use what and who they know for characters and their actions in books, but Camus’ relationship with Meursault seems to be as complicated as that character’s relationship with the reader. Kaplan’s book sheds a new light on the complexities of those relationships. The Stranger is truly a work of world literature, in the sense that David Damrosch defines the concept. 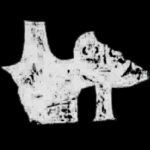 [x] With The Stranger we have an Algerian author who wrote in French but was influenced by Danish, Russian, and German thinking, and was stylistically influenced by American authors like Hemingway and James M. Cain. 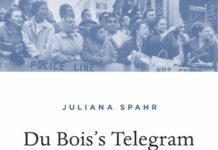 Alice Kaplan gives us a view of The Stranger that joins a growing chorus of scholarship on the controversial book and its author. She provides keen insight that opens up other avenues of thinking about that book and its author. Camus’ influence seems to be growing, not diminishing as we move deeper into the twenty-first century, and this is needed, especially given the growing resurgence of nationalism and isolationist polices, i.e. Brexit and Trump. Perhaps it’s only literature, and international fiction in particular, that can save us from ourselves. In this age of social media epitomized by the egotistical selfie, international fiction has become more important than ever. Kaplan’s book reminds us that nothing exists in a vacuum, that great works of art come about contextually and pan-culturally. The Stranger might never have been a success without the French existentialist network of the time. Andrew Martino is Professor of English at Southern New Hampshire University where he also directs the University Honors Program. He has published on contemporary literature and is currently finishing a manuscript on the concept of security in the work of Paul Bowles. [i] Edward W. Said. Culture and Imperialism. (New York: Vintage Books, 1994), 174. [ii] Arendt, Hannah. “French Existentialism.” Essays in Understanding: 1930-1954. (New York: Schocken Books, 1994), 192. [iii]Albert Camus. The Myth of Sisyphus. Trans. Justin O’Brien. ) New York: Vintage Books, 1991), 30. [iv] Randall Collins. The Sociology of Philosophies: A Global Theory of Intellectual Change. (Cambridge, Massachusetts: The Belknap Press of Harvard University Press, 2002), 764. [v] See Zaretsky’s review in Los Angeles Review of Books (https://lareviewofbooks.org/article/biography-zaretsky-kaplan-camus/) and Williams’ review in the New York Times (Sept. 15, 2016). [vi] Patrick Baert. The Existentialist Moment: The Rise of Sartre as a Public Intellectual. (Cambridge, England: Polity Press, 2015), 138-139. [vii] Jean-Paul Sartre. “The Stranger Explained.” We Have Only This Life to Live: The Selected Essays of Jean-Paul Sartre 1939-1975. Ed. Ronald Aronson and Adrian Van Den Hoven. (New York: New York Review Books, 2013), 43. [viii] David Carroll. Albert Camus the Algerian: Colonialism, Terrorism, Justice. (New York: Columbia University Press, 2007), 15. [ix] Todd, Olivier. Albert Camus: A Life. (New York: Alfred A. Knopf. 1997), 107. [x] Here I am thinking specifically of Damrosch’s theory of circulation. See David Damrosch’s What is World Literature. (New Jersey: Princeton University Press, 2003) for a full definition of the concept. Previous articleMark B. N. Hansen — Bernard Stiegler, Philosopher of Desire?